The high Himalaya, verdant peninsular forests, sparkling wetlands, mighty rivers, rolling grasslands and productive coasts – we have been blessed with all these and more. There was a time when some people believed that protecting this wealth was an animal rights issue, and testily asked advocates of wildlife conservation: "Are tigers more important than humans?" Fortunately, no one any longer disputes the fact that floods, droughts and climate change are a direct result of unwise land use – primarily deforestation coupled with uncontrolled industrialisation and chemical agriculture. Put another way, ecological destruction inevitably lowers the quality of human life. By contrast, scientists confirm that protecting the natural habitats of the wild animals that have been depicted on the pages of this book is the most efficient, most economical way out of the climate change crisis that threatens to overwhelm us all. India Naturally seeks to sow seeds of appreciation for the beauty and worth of our nation's incredible wildernesses. And to communicate that the most valuable assets we can pass on to our children are living forests, clean rivers, healthy soils and a stable climate. In working towards this objective, the authors gently point out that those of us lucky to be living in India today will reap the benefit of a revitalised spirit, which is one of the most enduring gifts that nature offers to all who surrender themselves to its magical charm. Provided large proportion of images shot over two decades. Authored two of the main articles for the book. The Sanjay Gandhi National Park (SGNP) management, in an attempt to popularise the green lung of Mumbai, published this treasure trove of information, replete with spell-binding images. Since the past few years, the forest department, with the help of naturalists, has taken significant steps to engage with the masses using social media, pocket field-guides, educational pamphlets, website, bird-watching trails, photography workshops, workshops for school children and overnight camps at SGNP. 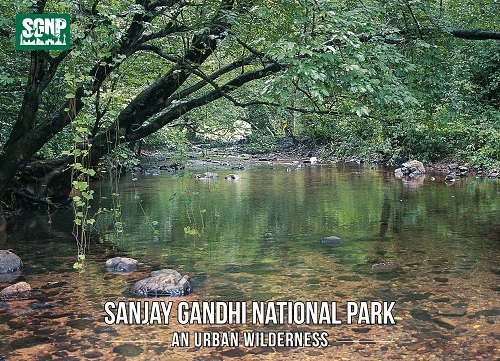 This visually appealing, 80 page coffee table book is yet another effort to introduce the people of Mumbai to the ecological wealth of SGNP and its unparalleled contribution to Mumbai's well-being. Provided large number of images shot over several field trips. Wrote one article for the book. 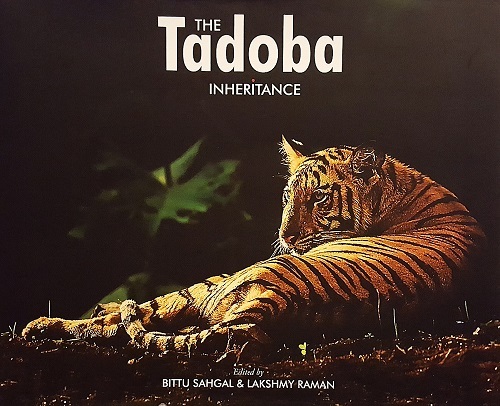 The Tadoba-Andhari Tiger Reserve, one of India’s most exciting and best-protected wildernesses, is fast turning into the country’s finest, most secure tiger habitat. Located in the Chandrapur district, Tadoba is the oldest national park in Maharashtra and was brought under Project Tiger’s mantle in 1993. One of India’s most celebrated forests in the 1960s, mining, timber and bamboo extraction, plus agriculture combined to tatter the green tapestry that clothed the land. By the 1990s, vast areas had been stripped of biodiversity. However, since then a dramatic recovery, triggered by far-sighted policies and concerted efforts of forest officials, has seen tigers and other wild species spring back to life. Teak and bamboo dominate this landscape, which is home to tigers, leopards, sloth bears, hyaenas, jackals and dholes, apart from an impressive diversity of avian and aquatic life forms. Spread over 1,700 sq. km. (core and buffer), the Tadoba-Andhari Tiger Reserve is a test case for wildlife tourism in India. Policymakers are determined to make sustainability and the involvement of local communities the lietmotif of tourism within the core of the park, supported by community-owned Nature Conservancies in the buffer areas. 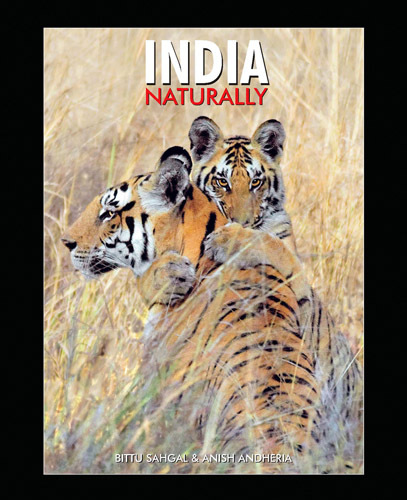 This book highlights the value of this magnificent tiger reserve, justifiably regarded as the ‘Jewel of Vidarbha’. Provided large number of images shot over several field trips. Wrote two articles for the book. Maharashtra is a universe unto itself. Appropriately named (Maha – ‘Great’, Rashtra – ‘Nation’), its territory extends across just under 308,000 sq. km., and encompasses some of India’s most diverse and beautiful ecosystems. 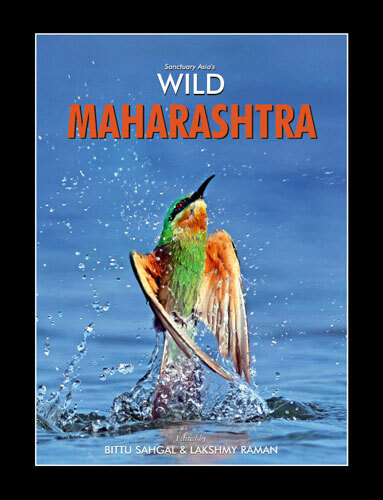 It is this exquisite legacy that Wild Maharashtra celebrates. Sanctuary Asia believes that this natural capital could attract millions of sensitive tourists from around the world in the years ahead. As they gaze in awe and delight at the extraordinary wonders this land has to offer, the traditional hospitality for which Maharashtra is justifiably famous, could be key to delivering unique experiences that help usher in an economic and social renewal. Maharashtra’s inventory of assets includes the Konkan’s marine biomes, the ‘water towers’ and evergreen forests of the Sahyadri ranges in the Western Ghats, the grasslands of the Deccan Plateau, Vidarbha’s tiger-stocked Satpuda range and Marathwada’s semi-arid biotope that has gained popularity as the home of the Great Indian Bustard. For centuries, this land was fiercely defended by the likes of Chattrapati Shivaji Maharaj who went on to establish the Hindavi Swarajya that withstood the might of the Mughals for over 150 years. Since Independence, Maharashtra has taken justifiable pride in being India’s economic powerhouse. But today, formidable challenges, primarily climate change, threaten our water, food, economic and social security. Restoring the natural ecosystems would help to mitigate such threats, but this will require statesmanship, and an understanding of the umbilical connection between biodiversity protection, climate change and the quality of human life. It is to document and highlight Maharashtra’s self-interest in protecting such natural life-support systems as forests, coasts, mountains, wetlands, grasslands, rivers and lakes, that Sanctuary Asia has dedicated itself to the Wild Maharashtra mission. About a tropical paradise that supports elephants, tigers, dholes and a host of plant and animal life forms that thrive in Periyar’s evergreen, Western Ghats shola forests and grasslands which water its azure, many-fingered lake. The Periyar Tiger Reserve is one of India’s most inspirational wildlife success stories. Protected for more than a century by far-sighted people who saw the connection between the health of a large dam built across the Periyar river, and the forests that cloak its catchment area, this wildlife haven is now a shining example of the benefits that flow beyond boundaries when nature is allowed to manage itself, with minimal interference from humans. Declared a reserve forest in the late 19th century, a wildlife sanctuary in the 1930s and a tiger reserve in 1977, Periyar is a land of emerald vistas, studded with exuberant colours and staggering species diversity. Productive grasslands, orchid-studded rainforests, moss-laden trees and dripping ferns provide food and shelter to insects, amphibians, reptiles, birds and mammals that together help maintain this valuable carbon sink in whose canopy Great Hornbills, lion-tailed macaques, Nilgiri langurs and giant squirrels can be seen with relative ease. 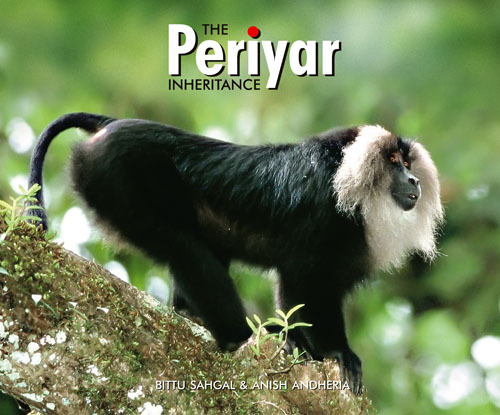 This book highlights the value of this natural treasure and demands that our generation hands over the Periyar inheritance in pristine condition to our children – the rightful heirs to this unique wonderland. Was closely involved in designing, natural history editing, writing and photography. Made two field trips to photograph various biotic and abiotic facets of Bandhavgarh. About a historic tiger habitat in the Central Indian highlands. Protected for centuries by the kings of the Baghel dynasty, Bandhavgarh – ‘The Fort of the Brothers’ – earned its name from the filial love between Lord Ram and his brother Lakshman, as narrated in the Hindu epic, the Ramayana. This forest is part of an extensive belt from where the world’s white tigers originated. 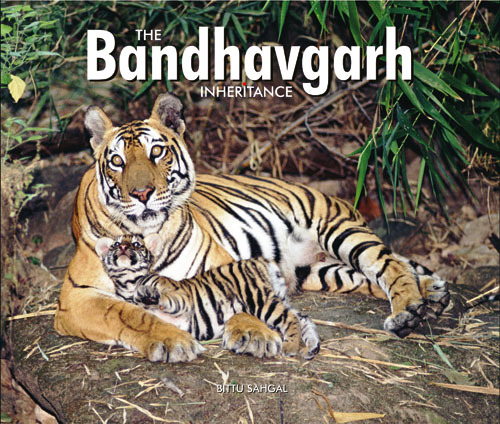 Bandhavgarh symbolises the timelessness of nature. Its 32 hillocks, grassy expanses and thick tiger forests are replete with history in the form of rock caves, ancient monuments, sculptures and art. These works were crafted by generations of nature worshippers who understood that apart from food, water and shelter, forests also supply humans with spiritual sustenance. The shikargarh (shooting reserve) of the erstwhile Maharaja of Rewa, who was one of the first royals to support a ban on tiger hunting in post-Independence India, is dominated by the ramparts of a formidable fort located atop the Bandhavgarh plateau. This tiger reserve, easily one of the best places in India to observe wild tigers, harbours over 515 flowering plants, 276 birds and a long list of mammals that includes otters and dholes. Sal Shorea robusta and bamboo combine to provide Bandhavgarh with its typical green and gold look that is embellished by tropical evergreen valleys and extensive meadows. Watered by the Charanganga, with its magical combination of history and wild nature, the Bandhavgarh National Park and Tiger Reserve is one of Panthera tigris’ last remaining strongholds and a sacred, must-visit destination. Was closely involved in production, designing, natural history editing, writing and photography. Made a field trip to photograph various biotic and abiotic facets of Corbett. Also researched field biology writings and books and ensured accuracy in all scientific and natural history facts. About a breathtaking wilderness, nestled in the foothills of the Himalaya, whose history is almost as hypnotic as its natural history. The Corbett Tiger Reserve has been described as the ‘land of roar, trumpet and song’ for almost as long as books have been written about this stunning wildlife haven. While similar parcels of grassland and riverine forest fell to agriculture and industry in the past century, the Corbett National Park managed to survive, thanks to perceptive individuals such as naturalist-photographer F.W. Champion and hunter-conservationist Jim Corbett, after whom the park was named. After India gained her Independence, another series of stalwarts took charge. Spread over two districts – Garhwal and Kumaon, Corbett has been described as the ‘finest jewel in the crown of Uttarakhand’, a hill state replete with culture, religion, myth and legend, almost all inspired by the mighty Himalaya. With its diverse habitats and three distinct seasons – summer, monsoon and winter, this tropical forest is literally bursting with life. Tigers, elephants, as many as 557 species of birds, plus a pulsating panoply of aquatic life forms including gharials, muggers and mahseer fish make Corbett one of India’s most popular wildlife destinations. 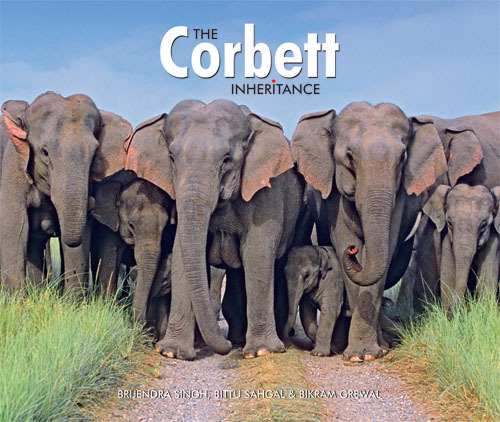 The Corbett Inheritance is a tribute to this wildlife refuge and to the proud people of Uttarakhand in whose hands the future of this natural haven rests. Provided large number of the images shot over several field trips. Was closely involved in the production of the book especially in the identification of species and interpreting their role in the ecosystem. About a magical marsh and the grasslands, forests and scrub that surround it. Created by shikaris of yesteryear, the future of Bharatpur’s Keoladeo National Park now lies in the hands of younger people with changed attitudes towards our planet. Keoladeo Ghana was once best known as the only wintering habitat of the rare Siberian Crane Grus leucogeranus, in India. The cranes stopped visiting since 2002, but come October, every eye still scans the sky in the forlorn hope that the ‘white angels’ will return to their winter home in the heart of Rajasthan. A World Heritage Site, the destination is visited each year by over 125,000 tourists, more than a third from overseas. This tiny 29 sq. km. pocket of biodiversity is a veritable goldfish bowl for students and researchers and is one of the most celebrated migratory bird habitats in Asia. Once the private duck shooting preserve of the Maharajas of Bharatpur and their guests, the Park plays host to 388 species of birds, both resident and migratory. 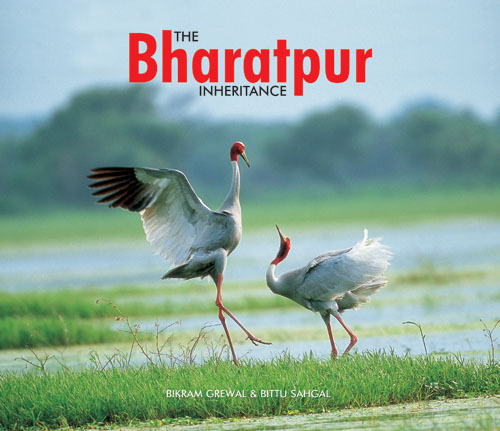 The Bharatpur Inheritance is a photographic tribute to this wild haven and to the stalwarts, past and present, whose lives were spent defending and studying its diversity. The book showcases some of the finest images ever taken in this exquisite and fragile Rajasthani forest and these are supplemented with texts by the most respected and accomplished bird experts, researchers and writers. Was closely involved in natural history editing, writing and photography. Made a field trip specifically to photograph Kaziranga and Panbari for the book. Also researched field biology writings and books and ensured accuracy in all scientific and natural history facts. About a botanical wonderland whose destiny is shaped by a river and a people determined to pass this living heritage on to generations unborn. 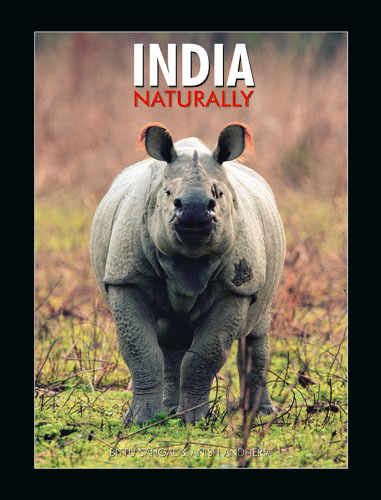 Kaziranga and the great Indian one-horned rhinoceros are synonymous. The very name ‘Kaziranga’ inspires awe, pride and deep respect in the minds and hearts of the Assamese people. This floodplain is a child of the Brahmaputra river. Here Rhinoceros unicornis is making its last stand in a mosaic of incredible ecosystems that fall in the Indomalayan Realm. The book traces the conservation history of the Park. It also highlights the threats faced by the rhino today and reminds us of those who lived and died to protect the wild beauty of Kaziranga. In Kaziranga, you can hear the trumpet of elephants, the call of the hoolock gibbon, and the display of amorous Bengal Floricans. The more adventurous could sight graceful Gangetic river dolphins and, with some luck, the secretive tiger, in what is believed to be the most densely populated tiger habitat in the world. Kaziranga is home to all these and more, including the Asiatic wild buffalo, swamp deer, sambar, hog deer and over 500 species of birds. 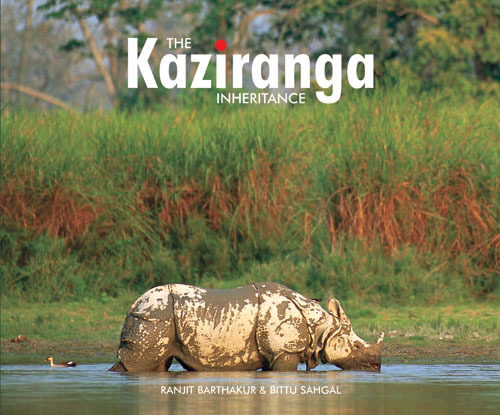 The Kaziranga Inheritance is a photographic tribute to this wildlife haven and the people who have battled for its survival. Showcasing some of the most stunning images of the biodiversity of Northeast India, this visual portfolio transports you to a long-ago world of immeasurable worth.